Developed with usability and strength in mind. This 0.5mm pitch FFC/FPC ZIF type connector, adopts a rotating type locking cover which allows for easy insertion of the FFC/FPC and facilitates structural integrity of the finished connector assembly. 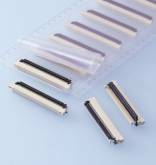 Available in 20 to 50 circuit variations and made using heat resistant materials, for SMT process environments, this connector is suitable for many small electronic applications. The change of mechanism of the cover from the slider to the rotating type makes the inserting operation easier. 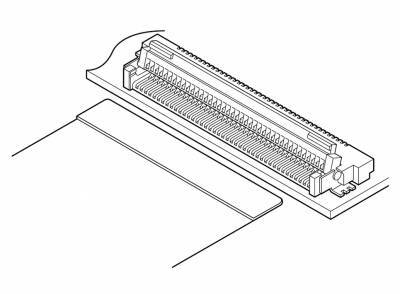 New mechanism has been adopted to prevent the cover from coming off when it is used with a big circuit FFC or FPC by adopting a bigger rotating shaft sustained by solder tab and held by the contacts. It is designed to be used in the reflowing process by using a heat resistant material for the housing.